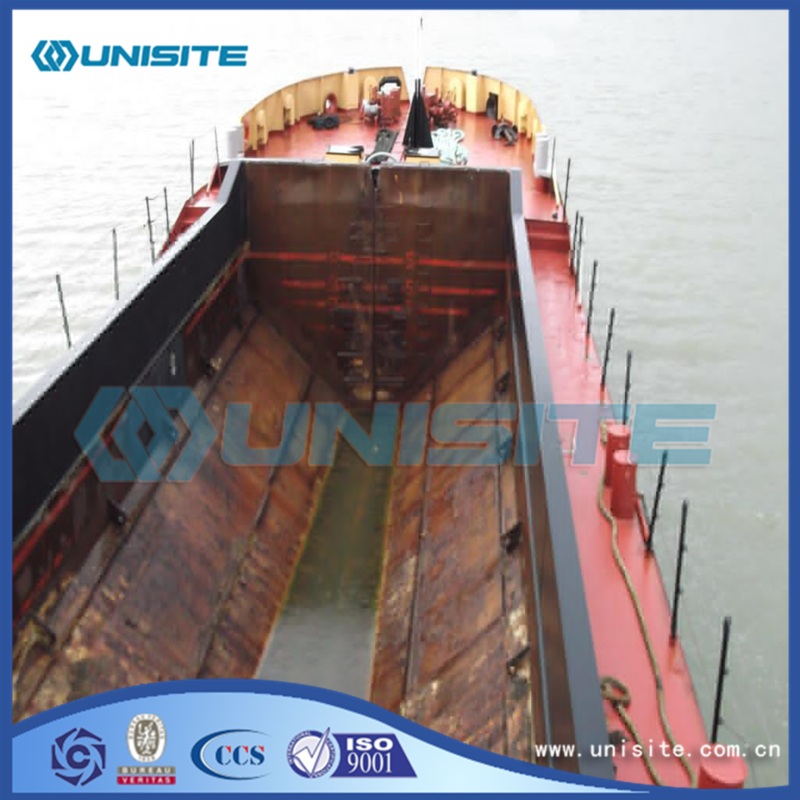 A Split Hopper Barge (SHB) is a vessel with a large open hold, used to load and transport dredged material. The Barge is loaded by a Cutter Suction Dredger or by a Backhoe Dredger. The barge is self-propelled, and sails to the deposit area, where it unloads the soil. 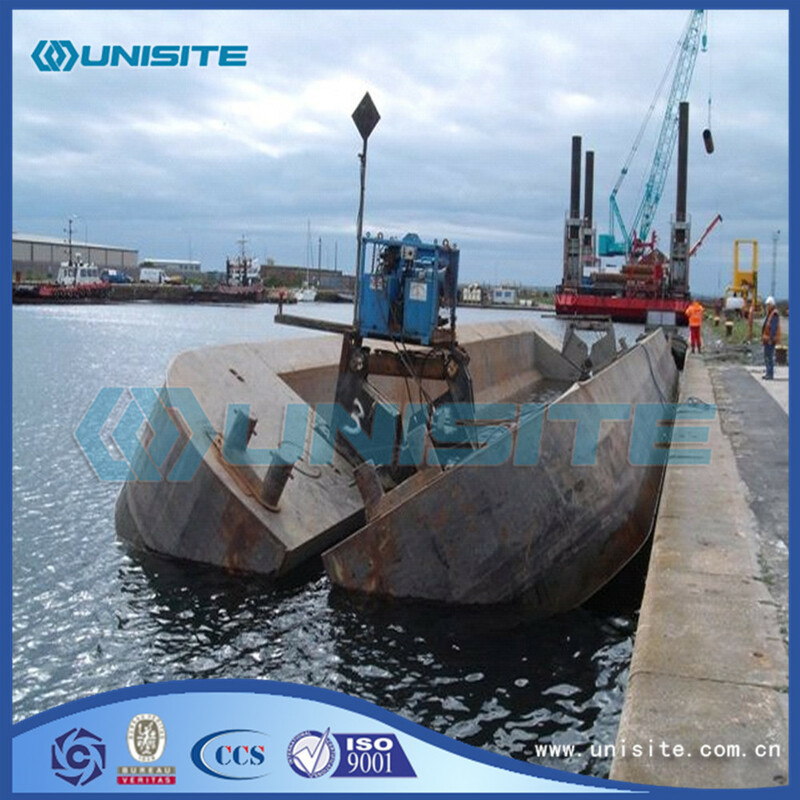 The vessel consists of two halves, and unloading is done by opening, or `splitting`, the two halves, and depositing the soil on the seabed. Open body mud is also called split hopper barge.This is a kind of modern advanced carrying, unloading barge.The barge is composed of the two halves of the longitudinal symmetrical hull, the two hull around two hinge axis rotation respectively.After the it carries dredged sediment, it is the total weight of the weight of the two half empty hull plus the sum of the weight of the load and sediment mud tank.Its position, the sediment gravity side at this point in the medial side hull of buoyancy, more than the buoyancy longitudinal midship section near the barge, which has open torque on hull.So in hull opening and closing of hydraulic oil cylinder and opened under the action of torque, barge hull will open the spoil.Open body mud is also called split hopper barge.This is a kind of modern advanced carrying, unloading barge.Open the body such as the basic working principle of barge section diagram.The barge is composed of the two halves of the longitudinal symmetrical hull, the two hull around two hinge axis rotation respectively.After the it carries dredged sediment, it is the total weight of the weight of the two half empty hull plus the sum of the weight of the load and sediment mud tank.Its position, the sediment gravity side at this point in the medial side hull of buoyancy, more than the buoyancy longitudinal midship section near the barge, which has open torque on hull.So in hull opening and closing of hydraulic oil cylinder and opened under the action of torque, barge hull will open the spoil. 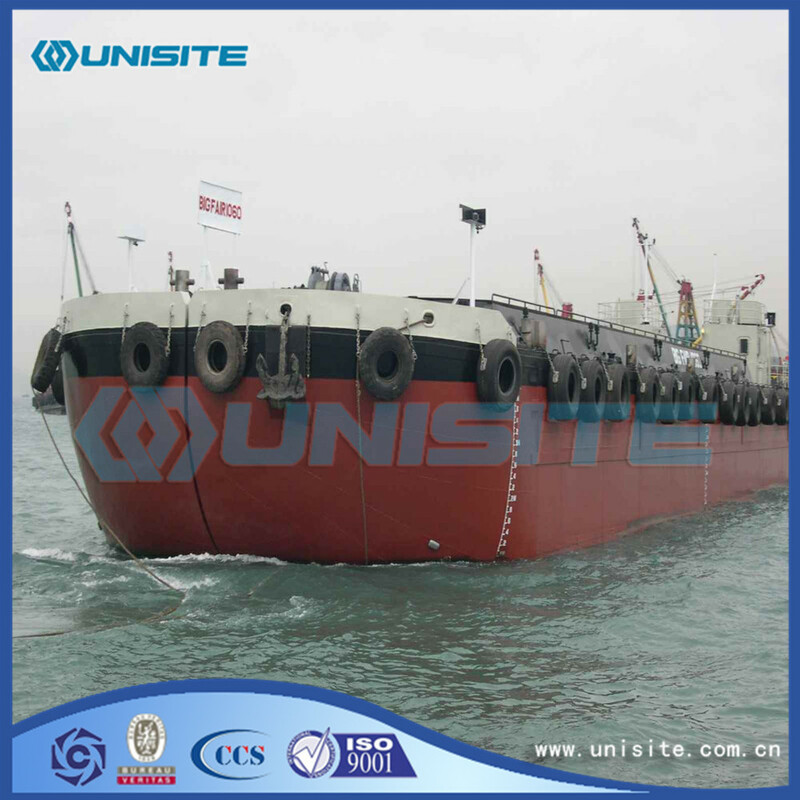 Looking for ideal Split Hopper Barge Manufacturer & supplier ? We have a wide selection at great prices to help you get creative. 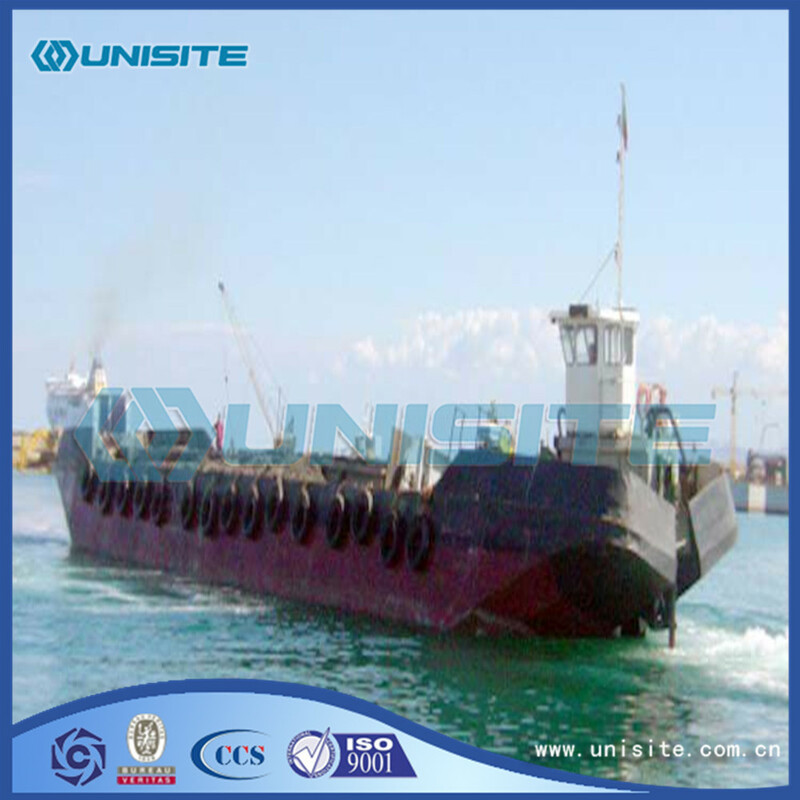 All the Split Hopper Barge Design are quality guaranteed. 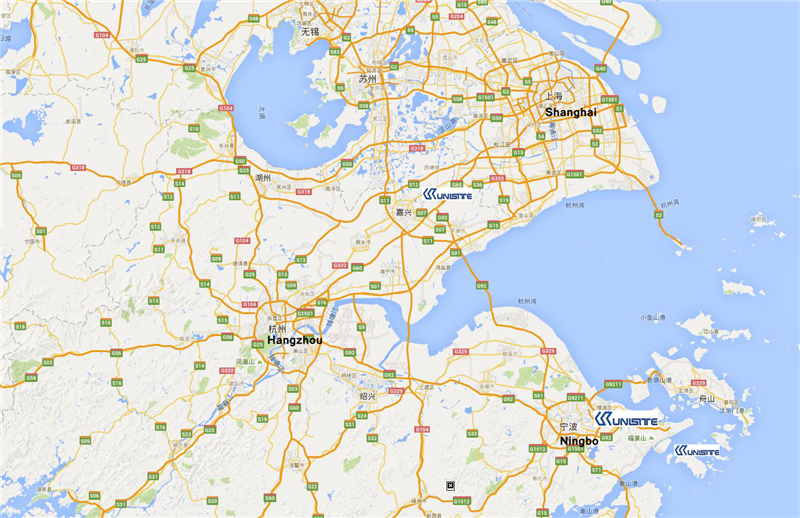 We are China Origin Factory of Split Hopper Marine Barge. If you have any question, please feel free to contact us.